Just imagine: It’s 1961, you’re still in high school, and you’re playing bass in casual downtown New York sessions with an intriguing pianist and Juilliard student by the name of Chick Corea. That’s a big part of how it all began for Eddie Gomez. Little did the Puerto Rican-born bassist know that Corea would become a jazz giant, and more important, a lifelong musical ally. Corea’s new two-disc offering, Further Explorations (Concord Jazz), with Gomez on bass and Paul Motian on drums, is but the latest chapter in a story that goes way back. 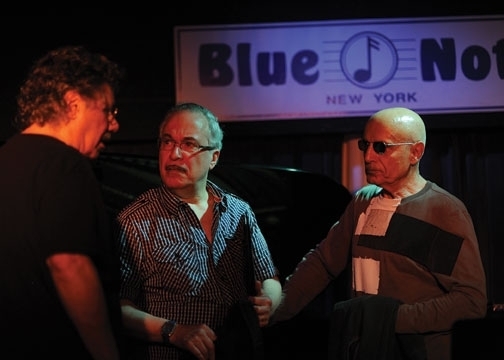 Recorded in May 2010 during a two-week stint at the Blue Note in Manhattan, Further Explorations is nominally a Bill Evans tribute-the title a reference to Evans’ 1961 classic Explorations, featuring Motian and bassist Scott LaFaro. It made plenty of sense to recruit Gomez for the Blue Note gig: Starting in 1966 and continuing for 11 years, Gomez played in the Bill Evans Trio and thereby made his first big mark in the jazz world. Appearing on such albums as A Simple Matter of Conviction, The Tokyo Concert and the Grammy-winning Bill Evans at the Montreux Jazz Festival (1968), Gomez lived and breathed Evans’ trio aesthetic, with its deep lyricism, impressionistic harmony and flowing equal-partner dialogue. Gomez also flourished in duo settings with Evans, as documented on the albums Intuition, Montreux III and a new set of previously unreleased (and beautifully recorded) Evans material, The Sesjun Radio Shows, out on the Dutch T2 label. Duos have proved an important part of Gomez’s work-he’s recorded in that format with flutist Jeremy Steig, pianists Carlos Franzetti, Cesarius Alvim and Mark Kramer, vocalist/pianist Tania Maria (on her new disc, Tempo) and others. “Eddie is marvelous in that he has a very wide scope,” said Bill Evans in a 1970 interview. “And as much as he fits me like a glove, you would almost think that this is the only way he could play because he does it so perfectly. But it’s not true.” Case in point: Gomez in his early years worked with avant-gardists such as Paul Bley, John Tchicai and Giuseppi Logan, but also with stalwarts from the pre-bop era including Benny Goodman, Buck Clayton, Edmond Hall, Jimmy McPartland and Bobby Hackett. Gomez was also the original bassist in Mike Mainieri’s supergroup Steps Ahead (initially Steps), along with Steve Gadd and Michael Brecker. His membership in the Gadd Gang, playing in-the-pocket soul and R&B (with the late Cornell Dupree and Richard Tee), shows that Gomez can make the leap from complex jazz modernism to the dirtiest of simple grooves. “It’s like being an actor,” Gomez remarks. “For different pieces you put on a different hat. I like that. I’m proud of the body of different stuff that I’ve done, because I love it all. I really do.” Whatever the musical situation, Gomez has brought a stout timbre, prodigious soloing chops and sweeping, cinematic arco lines to the table. 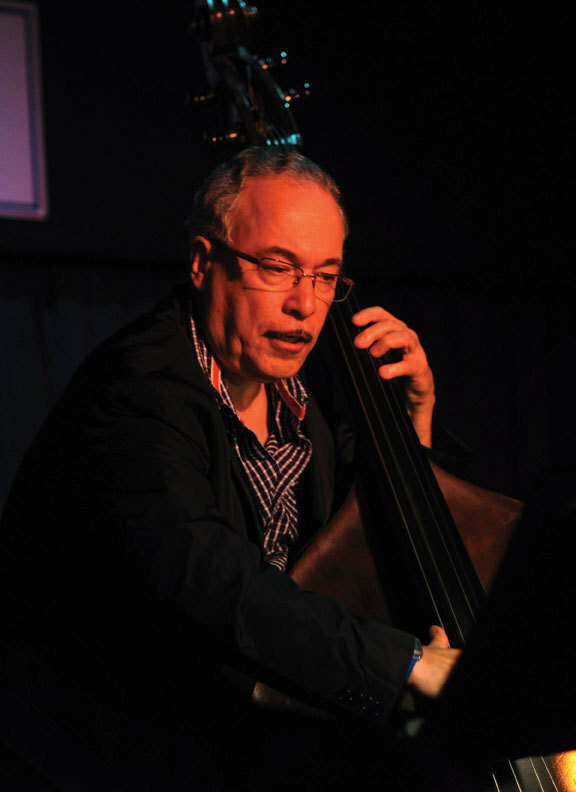 He remains one of jazz’s most distinctive bassists. And though he’s best known for his Evans and Corea associations, Gomez has for many years led his own bands: most recently, the quintet heard on his alluring soon-to-be-released album Per Sempre (BFM), with flutist Matt Marvuglio and tenor/soprano saxophonist Marco Pignataro in the frontline. Gomez also maintains an association, 15 years running, with the fiery Swedish-born pianist Stefan Karlsson, working mainly in trio settings with drummers including Jimmy Cobb, Duduka Da Fonseca and lately Nasheet Waits. The early sessions with Corea (’61-’62) took place on North Moore Street. “We were jamming tunes,” says the pianist in his Boston brogue. “Eddie was a real young fella; we were both young fellas. This building was really out of the way, three or four floors, and I had an apartment there with my wife and two kids, who were just tots. Upstairs was a drummer named Don Varella, who asked me to play in his trio, and Eddie showed up. There was an instant friendship because we shared so many similar pleasures and tastes.” Gomez later included the Corea composition “North Moore St.” on his 1992 album Next Future. Corea adds: “When [Eddie and I] played together there was always this game that went on, one of the ultimate games in any kind of music: fully improvising and tossing ideas at one another and everybody making something of it. … It’s not like, ‘OK, I’m going to play these next eight bars and then we’ll get to the bridge.’ It’s like every note is another pearl or creation or jab or idea. We both love that way of interaction and we naturally go into it. That might describe some of the way Eddie played with Bill.” The two took separate paths for a time: Gomez with Evans, Corea with Stan Getz and Miles Davis. But they’d soon enough reunite. Drummers loom large in any bassist’s career, of course. In Evans’ trio, Gomez found himself paired with Shelly Manne, Marty Morell, Eliot Zigmund and others, including Philly Joe Jones and Jack DeJohnette for brief periods. “Initially, with Bill on my right and Philly Joe on my left, I was just a kid,” Gomez says. “I couldn’t believe it.” It was common, Gomez adds, for others to sit in with Evans at the Vanguard: Elvin Jones, Tony Williams and, not incidentally, Paul Motian, Evans’ former full-time drummer. Gomez’s leader discography begins with Down Stretch in 1976 and picks up speed in the ’80s with titles such as Gomez, Mezgo and Street Smart. In 1996 he formed his trio with pianist Karlsson. Their first drummer was the great Jimmy Cobb. Remembering his initiation, Karlsson sounds uncannily like Gomez talking about Evans and Philly Joe: “It was a dream come true. I’d listened to Bill Evans since I was 14 and I remembered Eddie from those albums, and hearing Jimmy with Miles Davis of course. That trio covered so much history, and I’m there in the middle. I can go in any direction and it’s going to be taken care of.” The lineup with Cobb lasted until 2004, but the Gomez-Karlsson partnership continues. Representative efforts include Dedication and What’s New at F (both with Jeremy Steig), Live in Mexico City and Palermo. It was with one of Hank Jones’ many incarnations of the Great Jazz Trio that Gomez and Cobb first connected. Gomez readily admits being “gun shy” at first: Cobb, after all, had made history in Miles Davis’ groups with one of Gomez’s chief role models, the mighty Paul Chambers. But Gomez was no stranger to pressure of this sort-in the late ’70s he had filled in for an ailing Charles Mingus on two Atlantic albums of Mingus’ music, Me, Myself an Eye and Something Like a Bird. 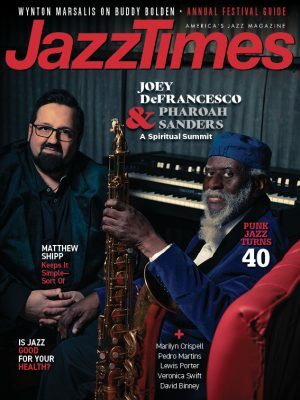 Those projects involved close contact with Mingus drummer and confidante Dannie Richmond, who worked with Gomez in groups led by saxophonist Bennie Wallace as well. By this point, Corea had come calling again. Gomez, along with future Steps colleague Steve Gadd, started appearing on Corea’s mid-’70s albums: The Leprechaun, Friends (with the Smurfs on the cover), The Mad Hatter. Then came the 1981 landmark Three Quartets. “We went out to L.A. for three days, we’d look at the music, play it a little bit and then turn the tape on,” Gomez recalls. “It was sort of like going out on a mission, like a SWAT team,” he adds with a laugh, “because it was fraught with the danger of playing this new music, which I think in a way was really cutting-edge.” Three Quartets would not have been the same without Gomez, who brought a thick, saturated, arguably quasi-electric sound to the date. His deft doubling of intricate lines, nuanced improvisation and all-around drive help make Three Quartets a standout in Corea’s oeuvre. On The Sesjun Radio Shows, the archival Bill Evans release, Gomez’s tone on the duo pieces is much more acoustic, which is to say more percussive. (There’s something about Evans’ “Twelve Tone Tune” that always seems to fire Gomez’s imagination.) On Further Explorations, with Corea and Motian, the bass sound is closer to Sesjun than to Three Quartets, even if the trio had no intention of recreating the Evans style. Just a year and several months after the Further Explorations recording, Paul Motian died. Corea remembers Motian as “a walking, living, breathing work of art himself.” Gomez calls him “the navigator” and “guiding light” of those two weeks at the Blue Note: “What might have been very special and beautiful, Paul took it way beyond that, into almost unclassifiable places. He was the force that took us there.” Save for a few brief turns sitting in at the Vanguard decades ago, Motian had never worked with Gomez, but their chemistry ended up being richly documented. Thankfully, many came to recognize Motian’s legacy as a composer in the years prior to his death. His piece “Mode VI,” premiered by the Motian-Lovano-Frisell trio in 1991, appears on Further Explorations in a dark and entrancing version, with an otherworldly arco solo from Gomez toward the end. “Paul had a lyrical sense,” Corea remarks, “and he wrote these lines and songs that were filled with holes-just real airy but with an emotion there. So what he did with those compositions was to invite what he loved, which was a lot of improvisation.” Gomez responds in precisely that spirit, filling out Corea’s harmonic threads, conversing with Motian’s abstruse rubato brushes and cymbals, never dictating the next move. It’s attuned listening like this that has endeared him to musicians across a broad spectrum.